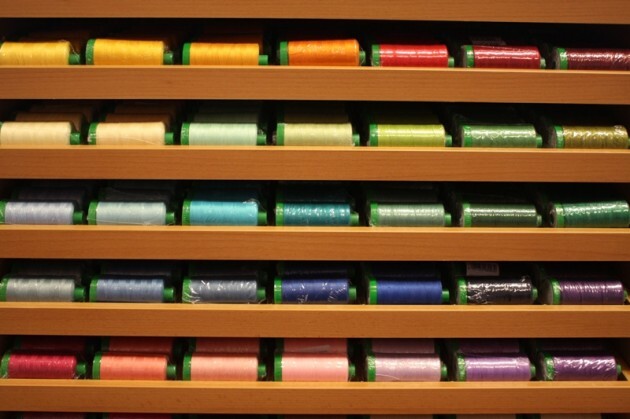 Aurifil Quilting Thread: Expanded Range! Two weeks ago we received delivery of a new Aurifil stand and very exciting it was too. I arrived at the shop to find it sitting in a crate on a pallett on the doorstep of the shop. Lily and I wrestled with the packaging to reveal all it's glory! Before installing it in the shop we took it to Duxford Quilt Festival where it was much admired and we all discussed how much we love using Aurifil thread. With the stand we have a stack of new colours. We currently have in stock 78 colours of 40wt and 14 colours of 50wt. The 40wt is your topstitching quilting weight. 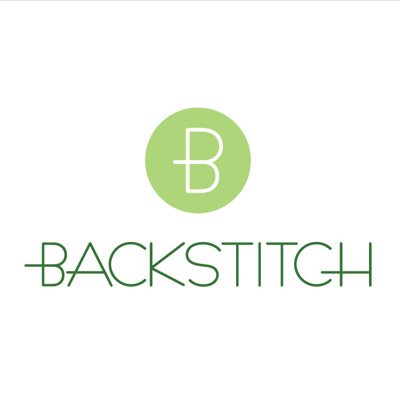 A thicker thread that comes on 1000m spools and gives lovely stitch definition. We have 64 solid colours and 14 variagated. The 50wt is your piecing weight. This is a very fine thread that we only stock in a range of grey, white and brown tones. Pick a tone that will disappear on your selection of fabrics. The fine cotton will really help with reducing bulk on your seams, particularly when your points involve more than 4 fabrics. The 50wt spool has 1300m of thread. Both the 50wt and the 40wt Aurifil is 100% cotton and can be used in your machine or by hand... and remember, once you've tried it, you'll never go back!